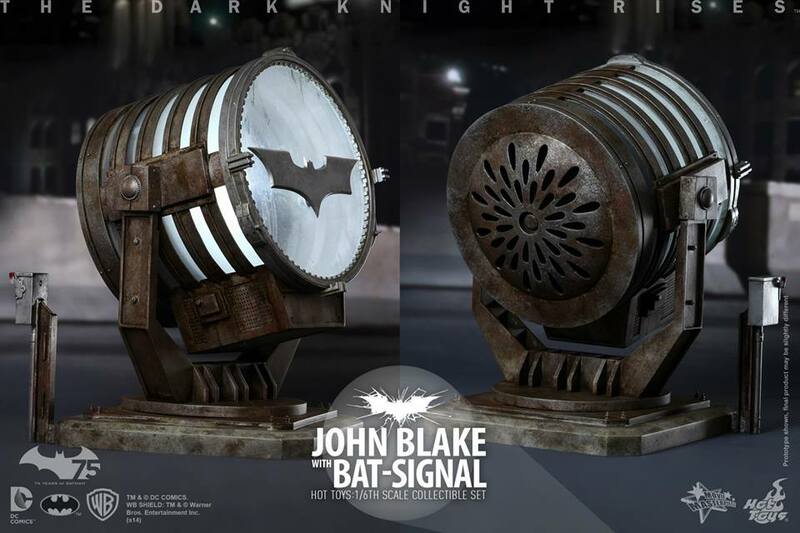 “I’m still a believer in the Batman.” Fans have been anticipating for the official introduction of the 1/6th scale John Blake Collectible Figure and the Bat-Signal when they were displayed in exhibitions earlier this year, and today Hot Toys is delighted to present the firstly launched John Blake collectible figure together in a set with the iconic Bat-Signal as seen in The Dark Knight Rises. 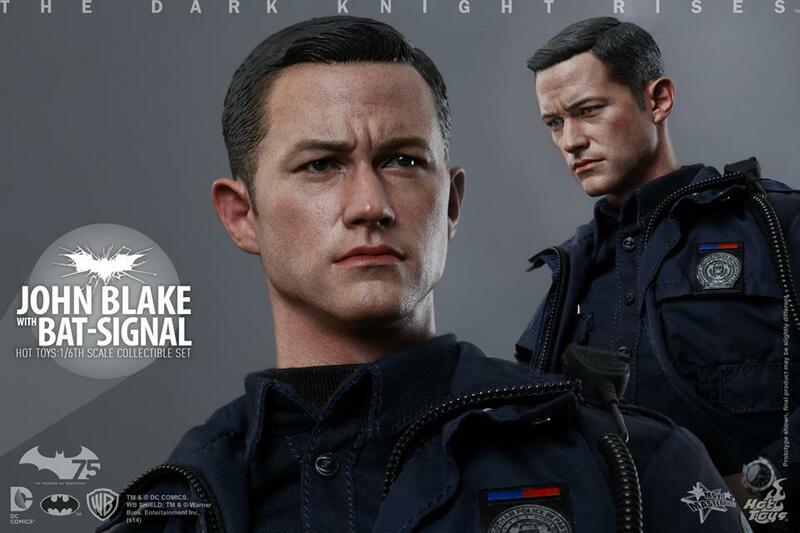 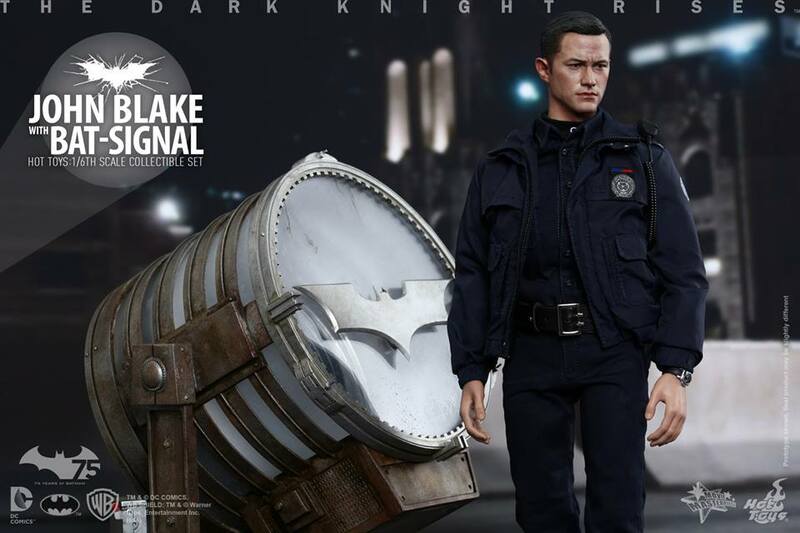 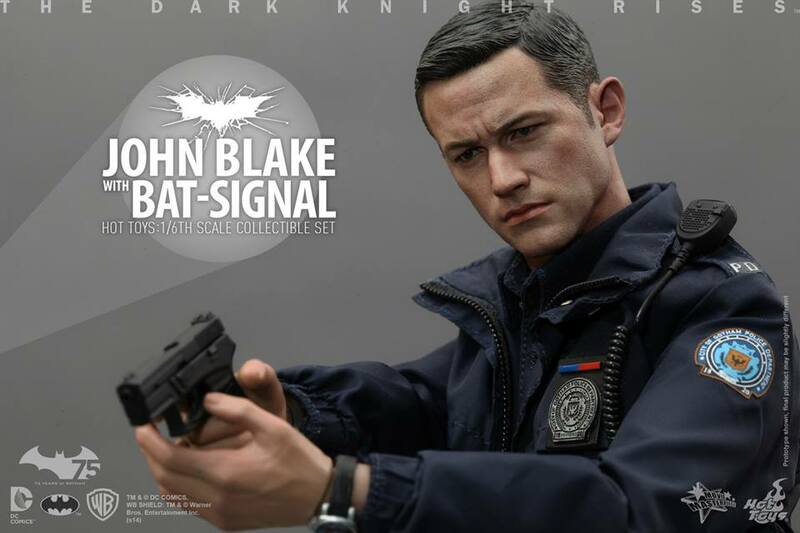 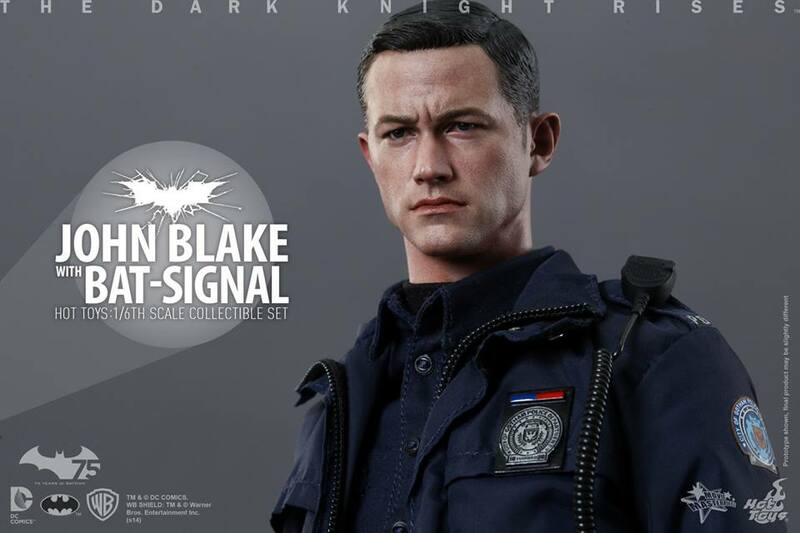 The movie-accurate John Blake collectible is specially crafted based on the image of the Joseph Gordon-Levitt as John Blake in the film featuring a newly developed head sculpt, specially tailored Gotham City police uniform, detailed weapons and accessories. 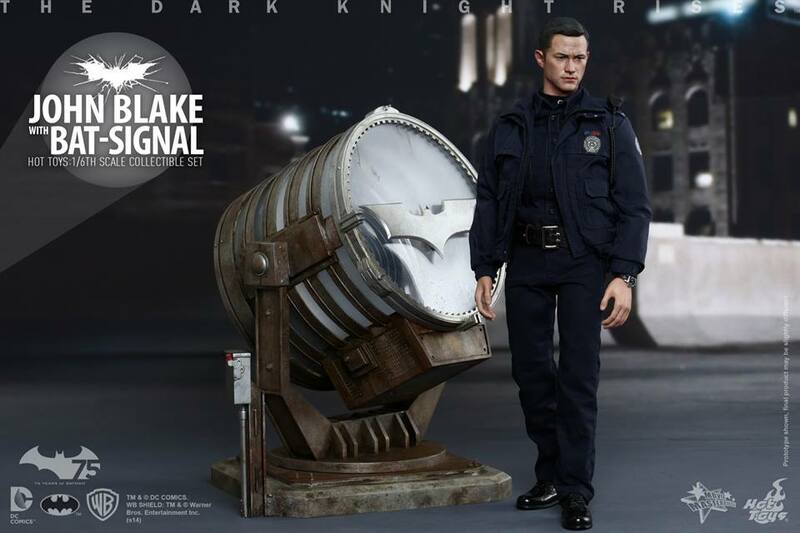 The 1/6th scale Bat-Signal is highly detailed and finely crafted based on its appearance in The Dark Knight Rises. 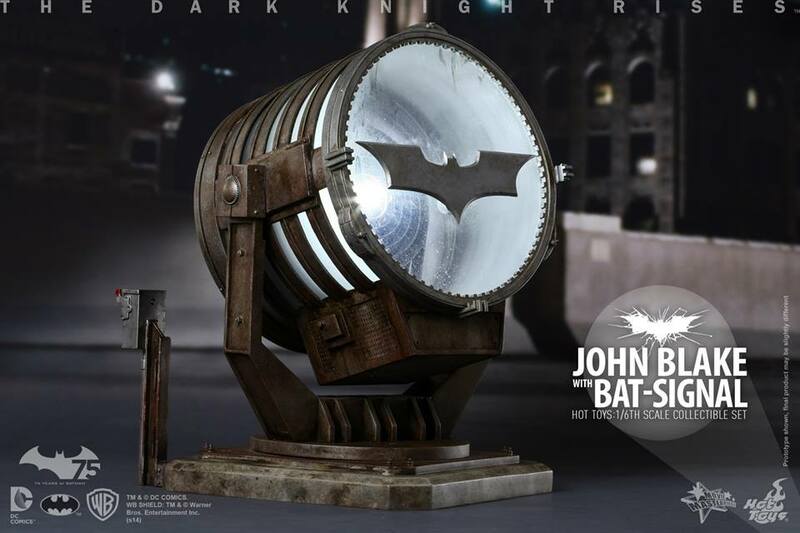 It is meticulously constructed with remote controlled LED light-up function, specially painted with distress effect, and a rotatable base. 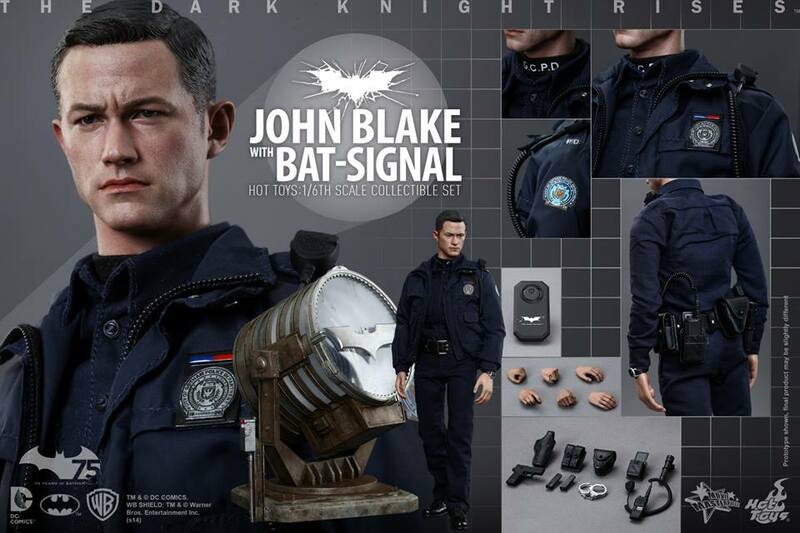 Coming mid 2015.